On tomorrow’s battlefield, technologically proficient adversaries will deny allied troops their freedom of manoeuvre, while small and highly dispersed tactical forces will become a valuable mean of projecting combat power. This will strongly impact their TTPs and consequent future mortar systems development, acquisition and employment. Defence IQ has researched where there has been significant investment by nations to sustain, modernise or innovate their mortar systems. 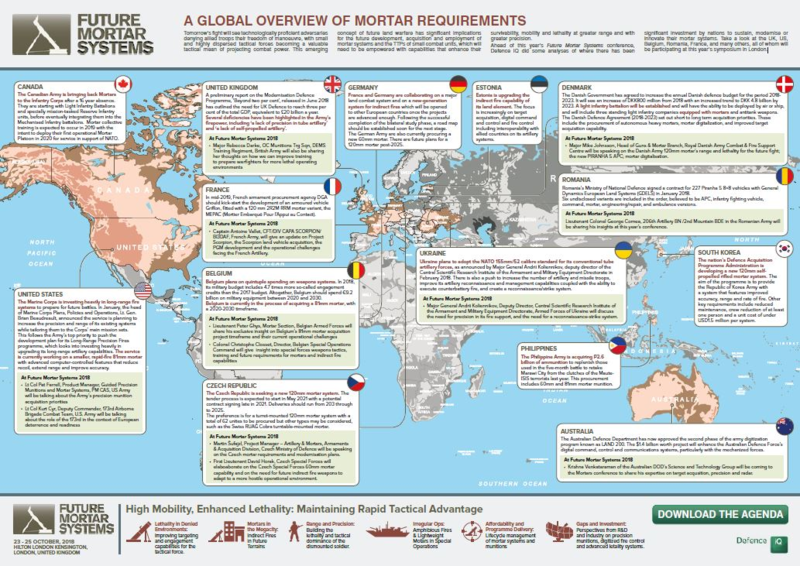 Learn more about the UK, US, Belgium and many others, all of whom will be participating at this year’s Future Mortar Systems symposium.